Get ready for the best gluten free blueberry cobbler, ever! This is the cobbler that your grandma made. It is simple to make, keep reading because I include a video that shows you how easy this gluten free cobbler recipe is to make. I can’t wait to share this gluten free cobbler recipe with you! It truly is my hope it brings back memories of what your mom made. I will confess and say I didn’t simmer the blueberries in a pot, I found they cook up beautifully while baking in the oven. This homemade cobbler is sweet and full of fresh blueberry flavors. Grandma would be proud to serve this recipe for blueberry cobbler. Nobody will ever know it is gluten free! Do you know what is even better about this recipe? 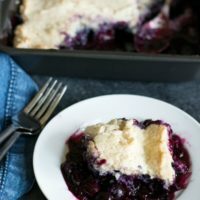 This gluten free blueberry cobbler recipe is also dairy free! 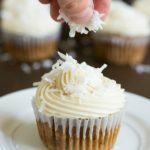 Just use a dairy free coconut whipped cream like So Delicious brand. I used a slightly sweet biscuit-like cake as a gluten free cobbler topping. 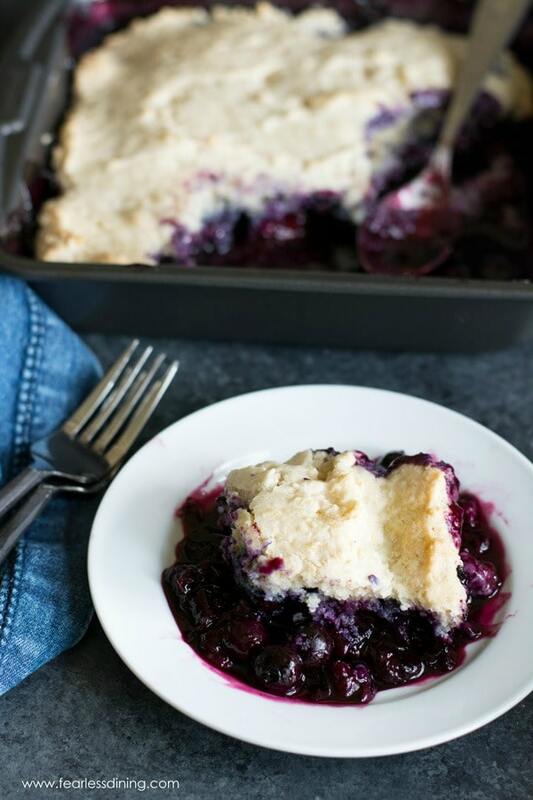 It adds a great flavor to this cobbler recipe without competing against the fresh blueberries. LOL, I learned a valuable lesson making this cobbler. Don’t leave it unguarded in the kitchen. My husband and son couldn’t resist helping taste test! Are you ready to see how easy this recipe for blueberry cobbler is to make? It really is easy…grab some fresh blueberries! A non-stick 8×8 baking dish. This easy gluten free flour blend. An easy homemade gluten free dairy free blueberry cobbler. 1/2 cup almond milk, depending on the gluten free flour blend, you may need to add a little more milk. In a bowl, combine the first five ingredients. Mix well. In a smaller bowl, add blueberries and the rest of the ingredients for the berry mixture. Toss to coat blueberries. 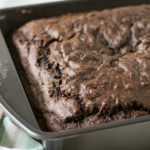 Spray coconut oil in an 8x8 baking pan. Add blueberry mixture to the pan. Spread the cobbler topping on top. Love this recipe for my gluten-free friends! Love the juicy filling! Blueberry Cobbler is a MUST during the summer. I’m so glad I stumbled upon your GF recipe, it’s SO good! I tried this recipe today according to instructions. The flour mixture was very pourable and definitely not as thick as shown in the video. I used King Arthur Gluten free all purpose flour. It came out good but it stayed in the oven another 10 minutes to firm up and it came out more cake-like than cobbler like. Next time I’ll try it with a 1/2 cup of almond milk instead of 2/3 cup. Hi Marilyn, Thank you so much for your note. I will make a note in the recipe for people. I haven’t used that particular flour blend that you used. Thank you! So only two people who commented actually tried this recipe, and it failed for both. Why does this have a 5 star rating? I’d like to try the recipe but I don’t want to waste the ingredients if it’s not going to work well, and it’s frustrating for the star ratings to mean nothing. Also, the calorie count seemed low so I plugged it into a calorie counter and got 193 calories per serving for 9 servings (which is still not bad). For Diane who doesn’t cook with oil, she could try using applesauce. That sometimes works as a substitute in baked goods. Hi Darryl, Thank you so much for your note. That is a great tip to use applesauce, I haven’t tried that for a cobbler topping, but I hope Diane writes in to let us know if that worked. As for the recipe, I have made it several times. 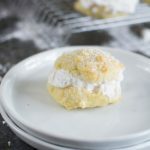 This recipe didn’t come out the same for one person, I am not sure where you see two people, but if they used a different gluten free flour, that is probably why. Each brand of gluten free flour blend works differently and if someone tries a different flour, then it is hard for me to advise. I hope this helps clear up a few of your questions. Any idea what I could substitute for the oil? I can’t have any form/type of oil or butter. Hi Diane, I am not sure what you can substitute for butter/oil. I haven’t tested anything else and I think the dough needs this so that the topping isn’t as hard as a rock. I am so sorry. I am happy to help Robin. Can you tell me what gluten free flour blend you are using? Can I substitute melted butter for the coconut oil? I have a son who is allergic to coconut and a daughter who needs gluten free! Hi Susan, butter would be great for a substitute. I hope your son loves this as much as my son does. Take care. Just an fyi, I will have to use vegan butter & NO coconut because coconut is Not good for those of us with a high cholesterol problem. I think the baking powder amount is too high. I made this and can’t eat it because it tastes so much like baking powder. Is it supposed to be 1.5 tsps? I don’t think I would have been able to resist either – this looks so delicious! Cobbler is one of our favorite family desserts. We try to have it a few times a year, especially when peaches are in season, but blueberry and blackberry are also a favorite. We will have to try this one next time! Oh, that would be a good combination! Sweet & tart. How did it turn out? I’m going to try strawberries, cherries, & blueberries with lemon zest to get a little tart, tonight!! What an absolutely gorgeous colour! I’m always looking for gluten-free recipes so I’ll definitely bookmark this one! I hope you like this Cleo 🙂 Thank you for stopping by.